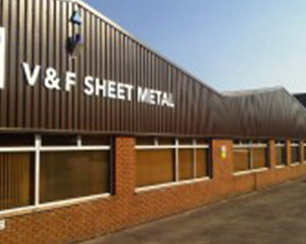 We at V and F Sheet Metal are proud to be a stable family owned business now in its 2nd generation. Started in the family garage of Victor and Frances Frith in the early 1980’s it has now grown to a sheet metal fabrication company employing nearly 20 people in 10,000 sq ft of factory units on the Segensworth industrial estate, just outside Fareham, right on Junction 9 of the M27 in Hampshire. We also have several key members of staff who have been with us for over 25 years making a very knowledgeable and experienced loyal sheet metal fabrication engineering team. Vic’s experience before starting V and F Sheet Metal was focused on press work and press tooling using small fly presses up to 600 ton triple action deep draw hydraulic presses. This background has always allowed us to look at your sheet metal work designs with an eye to the best method of production whether that might be via the flexible CNC punching and CNC bending route or the more economical pressed tool route for higher batch volumes. “As a company, we completely understand the importance of a quality supply chain, knowing our business can only ever be as good as its suppliers. In the early days most work was for one off sheet metal work projects and manufactured using basic manual sheet metal fabrication equipment such as a treadle guillotine, fly presses, pillar drills and welding equipment. 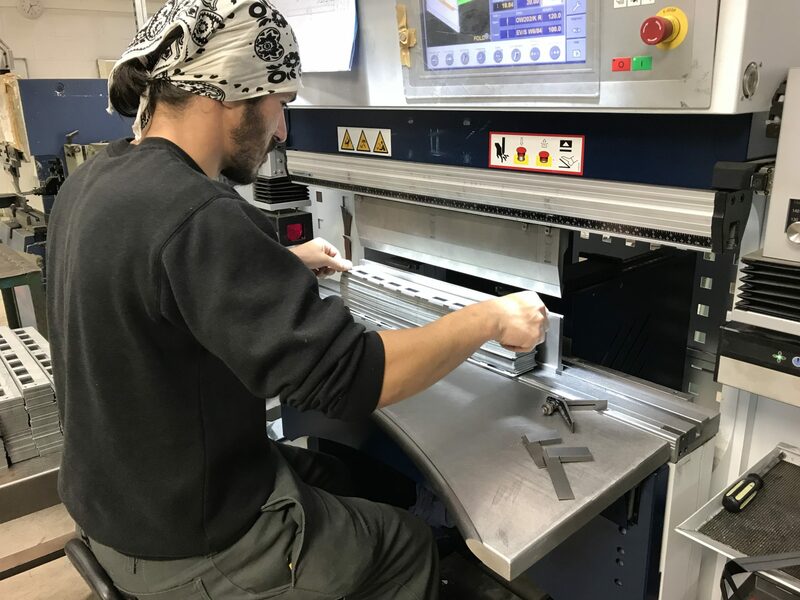 A chance meeting led to a relationship manufacturing a vast range of sheet metal fabricated components for a newly formed Portsmouth, Hampshire based lighting company. 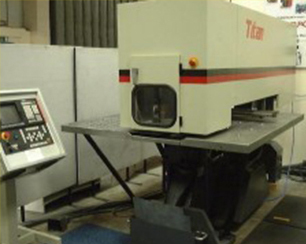 This gave us the chance to invest in more productive sheet metal manufacturing equipment including our first CNC punch press the Rhodes Pierce-All Titan, LVD CNC press brake, power presses and more ancillary production equipment such as sheet metal working notchers, fly presses, rollers and Tig, Mig and spot welding equipment. Over time we have made contact with more customers in many industries and now have a customer base of several hundred regular companies based mainly in the UK but also in a few countries in Europe. Once we had moved from Portsmouth to Segensworth, Fareham we steadily expanded with additional industrial units. This steady expansion gave us the space to invest in more CNC punching presses and CNC bending press brakes. We invested in a new Raskin CNC punch press with a 20 station turret and the ability to CNC punch 2m x 1m sheets without any re-positioning of the sheet metal. 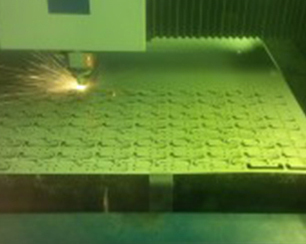 This was a big step forward for us and enabled us to efficiently manufacture larger sheet metal fabrication projects. 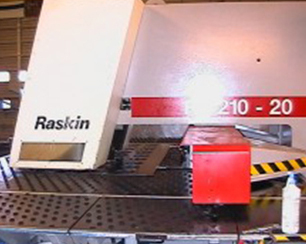 Along side this investment we installed Radan software with 3D and CAD/CAM facilities. This software enabled us to communicate more efficiently with our customers and is still the best method used today. We have always had the support and latest version of Radan software to enable us to open our customer drawing files as they upgrade their CAD packages. 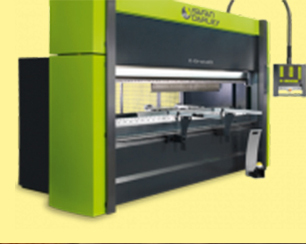 With more CNC punching capacity came more CNC bending capacity with 2 new Edwards Pearson PR3 and PR6 CNC press brakes. 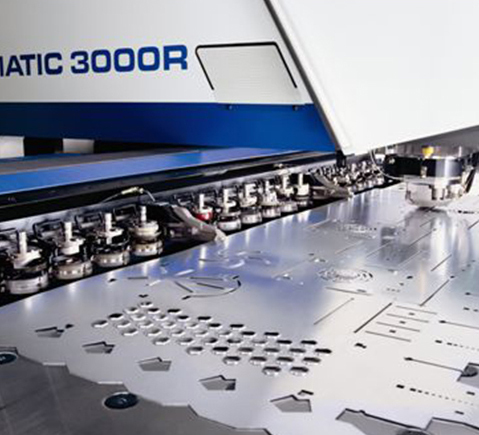 In the year 2000 we invested in a new Trumpf 200R CNC punch press and was immediately struck with how easy it was to set up and the added efficiency this gave us with increasingly smaller batches with UK based companies using KANBAN delivery systems and larger volumes being placed outside the UK. When the time was ready, in 2007 we invested in a new Trumpf 3000R CNC punch press which replaced the Raskin turret punch press. These 2 Trumpf CNC punching presses are now the 2 premier CNC punching machines with the bulk of our sheet metal work being processed through them. During 2012 we started to look for new premises to enable us to house all our facilities under one roof. We were very lucky to find the perfect unit just a stones throw away from were we had always been and made the move in the October / November. The move gave us the chance to layout the workshop for a more efficient working pattern, more storage space to hold standard sheet metal materials for our customers and most importantly the chance to have enough space for a laser cutting machine. We had wanted a laser cutting machine for a while to compliment the 2 CNC punch presses that we already had but never had the space for one. Now we could move forward again as a company and install the very latest fibre laser technology with a Trumpf 3030 3KW fibre laser machine. Now we can offer our customers a more comprehensive range of cutting services in thicker materials, cutting shapes that would have been difficult on CNC punch presses and without the need for any tooling. 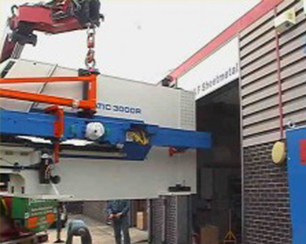 In 2015 we invested in a brand new Safan e-Brake 3M long 100 ton CNC press brake to replace our older Edwards Pearson PR6 CNC press brake. This investment allowed us to bend sheet metal work up to 3M long in line with the 3M sheets that we can now handle on our laser cutter. Having 100 tons force instead of the 65 tons of the PR6 also comes in handy when bending the thicker sections that the laser can cut for us. 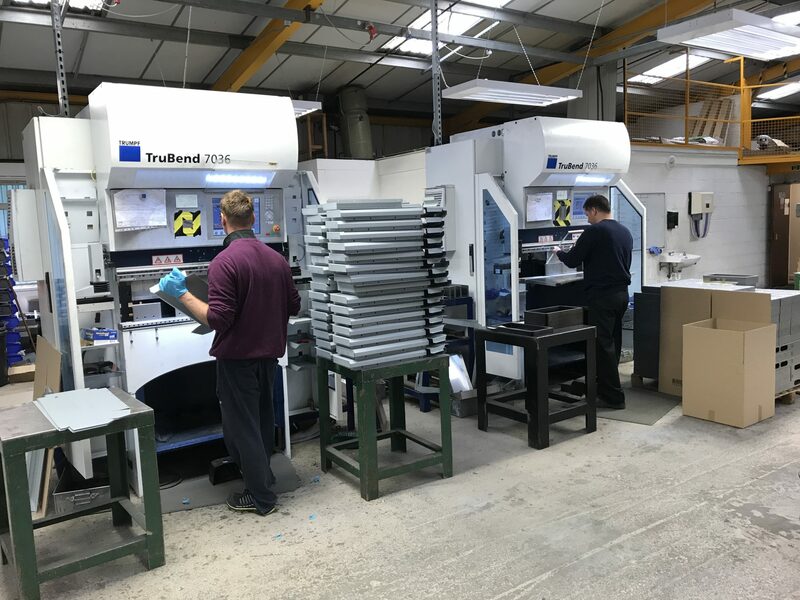 We have always taken a longer term view to investment in our business and have continually invested in the latest sheet metal manufacturing plant and software, Trumpf playing a major part in our recent acquisitions, giving us access to the best manufacturing equipment in the UK sheet metal industry. A quick look through some of the pages on the website will show you the quality of the sheet metal fabrication manufacturing plant and the range and complexity of work we get involved in. Since 2010 we have been using the Trumpf 7036 CNC press brake. The 2 brand new machines we installed have been brilliant. They are easy to use, quick to program and share CNC tooling with our Safan e-Brake. This has allowed us to swap small components (up to 1M) back and forth between the machines to suit production needs on any particular day. We were so impressed with the Trumpf 7036 machines that in 2017 we installed a further new machine. 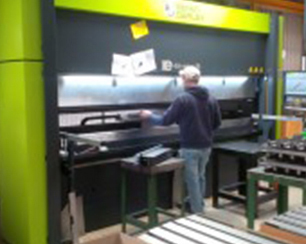 We now have 7 CNC press brakes to enable us to handle a wide range of sheet metal bending requirements.